It is still unacceptable that what people feared most about the presidency and its attitude to the herdsmen’s killings in Benue State was actually what happened in the end with President Muhammadu Buhari visiting a neighbouring state, Nasarawa to commission insignificant projects, but failing to visit Benue State. This is a tragic flaw, a character trait, which ultimately leads to a tragic action that produces the tragic hero. It is getting curiouser and curiouser why a president who was elected on an unparallel wave of goodwill would court this fate. 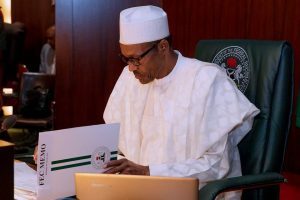 It was remarkable that President Muhammadu Buhari had vowed that his administration would not tolerate the attacks by herdsmen and other bandits, developments that have overshadowed other governance issues in the country in recent months. He assured the people of the north-central zone and indeed all Nigerians that the Federal Government was working day and night to ensure peace and stability returned to the flashpoints in the country. Even when he disclosed in Lafia that the government had deployed additional resources to all affected areas to maintain law and order, most people watching on television believed that the Nigerian leader should have flown to Makurdi first to commiserate with the grieving people of Benue who had earlier lost more than 73 of their kinsmen to herdsmen’s murderous acts. But sadly, he did not show up there. This is grossly insensitive. And so, all the grandiloquent speeches in Lafia without visiting Benue’s bloodspots amount to a tale told by an uncaring president. The nation is though not unaware of the fact that the commander-in-chief had directed the security agencies to arrest and prosecute any and all persons found with illegal arms. But again, this is belated. It is only coming on the heels of a groundswell of opinion that the president’s silence has been disturbing to the nation. What is more, a lot of damage had been done before the president’s directive. Besides, impunity had been perceived and insinuations of official complicity had been allowed to go on. All these came just as people were still smarting from the embarrassing visit of Benue leaders to the State House, Abuja where the President urged the Benue people to accept the spirit of the Fulani herdsmen’s atrocities in good faith and accommodate them as fellow Nigerians, a President who should have been the visitor to the grieving people in Benue. Empathy or compassion is what leaders show all over the world. They visit accident scenes and flashpoints to sympathise with the people in shows of compassion and real leadership. This government should know that this is a digital media age when information and responses to issues occur at a speed faster than that of light. So, no leader goes to bed without resolving issues that have hit the roof. Governments all over the world respond to governance and security issues instantaneously. There is no more room for executive or legislative or judicial procrastination. Things go viral immediately. So, apologies, explanations, rationalisation, visits and all critical actions of authorities should be done when they will make desired impact. Definitely, the belated actions from the office of the president on the massacre in Benue State have remarkably reduced the rating of the president and have not ministered grace to the citizens in any way. It will continue to boggle the mind, therefore, that President Buhari at such a perilous time as this could not find a purpose to visit Benue and other areas including Taraba and Adamawa where herdsmen have been wreaking havoc on farms and killing people. Sadly, this appearance of insensitivity has been complicated by ministerial insolence and even wickedness. 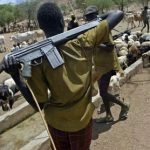 A curious remark of the Minister of Defence, Brigadier General Mansur Dan-Alli (rtd), stoked the embers of fire the other day when he claimed that the enactment of the anti-grazing laws by some states was the immediate cause of violence by herders is quite unfortunate. This insensitive statement is one that should have been withdrawn immediately in the interest of peace and stability in the land. This is one more careless statement from the president’s key men on the bloody clashes between herdsmen and farmers in many parts of the country. The Inspector General of Police, Ibrahim Idris Kpotum on his own always sets the tone for poor judgment and carelessness when it comes to managing crisis communication. This is also unfortunate. But the point must be quickly made that the buck of all the carelessness stops at the president’s table. He should be ready to bear the brunt of all kinds of incompetence and mediocrity in crisis management. The Defence Minister, who curiously blamed the law instead of the law breakers who are still at large over the killings should be publicly rebuked for his indiscretion that is capable of inflaming passions across flashpoints in the country. The president will continue to receive blames over choices of the men and women who have been working with him to shape politics and policies. Clearly, there have been daily indications that there are far too many of them who cannot learn, unlearn and relearn. With due respect to him, the appointor, the Defence Minister lacks the depth, tact and grit expected of a Brigadier-General from the Nigerian Army that has produced numerous fine officers. At this turbulent time, it should be noted that management of crisis requires knowledgeable people who also understand the times and the country. This is no time for tactless and inflammatory talk, which seeks to impress only the chief executive who himself needs help in the court of public opinion. All told, as this newspaper has stated several times on this issue of grazing reserves for herders, the modern method should be sought instead of blaming the victims of these mismanaged circumstances by tactless state actors. No one should be deceived into believing that people will surrender their land for the purpose of expanding private businesses of cattle rearing. In the same vein, no one should treat the people of Nigeria as fools who do not understand the import of the wind of change that is blowing the benefits of federalism across the land. The anti-grazing laws that states have been enacting to protect their lands and farmers should not be ignored and demonized by some state actors including the Inspector General of Police and the Defence Minister. The states can make laws to protect their people. The utterances of security chiefs and other state officials who are planning cattle colonies and blaming the victims instead of finding the perpetrators of the heinous crimes in Benue, Taraba, Adamawa, Ondo and others, therefore, have continued to diminish the Buhari brand equity. It is not too late for the president to reclaim lost grounds. He should take charge of his government, brace up to accept responsibility for his inaction, especially over killings in Benue State. His inability to visit the place so far is reprehensible, insufferable and so unacceptable. And the visit to Lafia, Nasarawa State capital, a few kilometres, from Makurdi, Benue’s capital is desultory and embarrassing. Certainly, that misjudgement was a tragic error. The president alone, not any cabal, should accept responsibility for his presidential laxity and make amends. Why not join the conversation? Next article Fitness: What does it really cost? 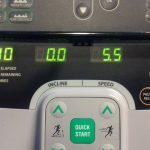 Fitness: What does it really cost? Extra ‘pounds’ from London motorway. Why Igbos need to look beyond Buhari. Newross & Co..the journey so far and a little encouragement. A requiem for the remnants of the old brigade. Six atypical tips for staying trim. © 2017 Bute Media & Communications Ltd.